Relaxed surroundings, Wi-fi, Sky TV and games room! Breakfast and Lunch for all 7 days!!! All drinks including soft drinks, local beer and wine! 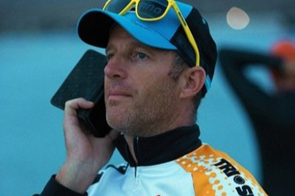 Daren, founder and Head Coach of TriSports Lanzarote, is a 4x IronMan finisher in 1 year, 2x IM 70.3 world finals and 13x IM 70.3 finisher. Daren is a qualified British Triathlon Federation Coach and a quailfied Open Water Swim Coach.